Dinosaurs are cool, and this is a fact that Jurassic World Evolution has effectively tapped into. Sales for Frontier’s dino park builder have been great up to this point, with the game selling over 1 million units since launching little more than a month ago. 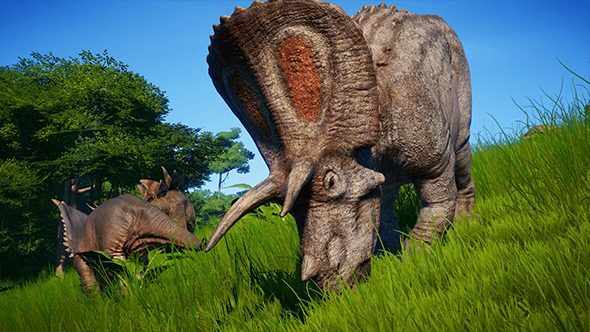 Jurassic World Evolution launched digitally on June 12 across Steam, PlayStation 4, and Xbox One, and in a press release Frontier says sales have been strong on all three platforms. A physical version hit consoles on July 3, and the 1 million figure counts all these versions of the game in the total. Stay hot, hip, and current by playing the best new PC games in 2018. But thanks to some external data, we know that roughly half of those sales were on PC. Total player counts for Steam’s 1,000 most-played games were revealed earlier this month, and Evolution had already made the list. As of July 1, the game had already amassed 481,240 players, and there’ve likely been even more since. If you need help keeping your dinos alive, check out our Jurassic World Evolution tips, or see some advice in video form below. Jurassic World Evolution has suffered some criticism for its lack of long-term depth (both in reviews and from me, gently criticizing it right now), but its player counts have been holding fairly steady, according to Steam Charts. They’ve settled down to a daily peak of around 4,000-5,000, about half of that for the venerable, continually updated builder, Cities: Skylines.